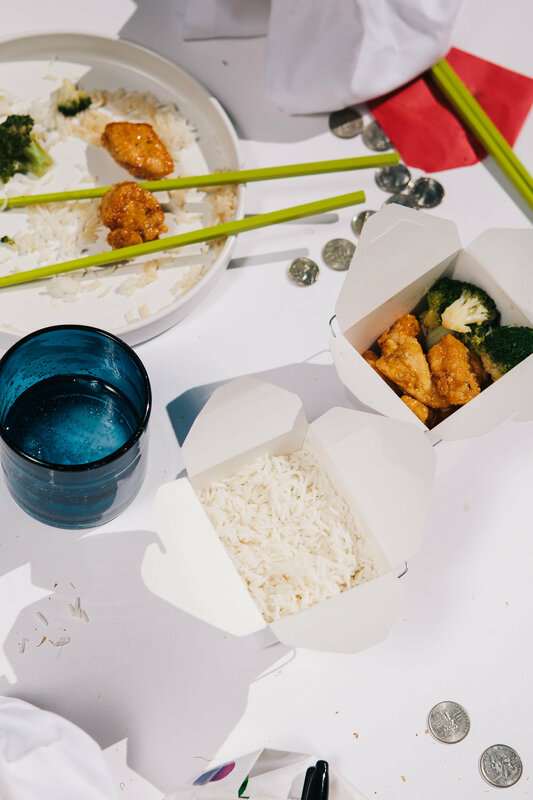 Express Orange Chicken — always with butter. In a medium bowl, combine marmalade, vinegar, hot sauce, ginger and soy sauce. Mix thoroughly and set aside. Prepare broccoli according to package directions and set aside. In a small bowl, combine chicken with egg and coat thoroughly. In a separate bowl, combine cornstarch, flour, salt and pepper. Remove chicken from egg and coat with cornstarch mix. Heat 1 inch of oil in a 4-quart saucepan to 375F. Fry chicken pieces in batches until light brown on all sides. Remove cooked chicken and place on paper towels, In a large bowl, toss chicken with broccoli and marmalade mixture. At my house, we don’t get takeout, ever. Not that we don’t ever want it or crave it, it’s just that it’s not a possibility. The town has no restaurants. There are some in the next town, down the hill from us but only two deliver. And not to Angwin. So our only situation is homemade takeout. Which has turned out to be a better solution. Way faster, healthier and tastier. This recipe is ready in less than the time it takes to order food and wait the half hour or so for it to be delivered. So the other day, I made Express Orange Chicken using Success® Rice. The rice cooks in 10 minutes. Super quick and tasty. I rarely ever bother to make rice because it takes so long on the stovetop and I always end up burning it. This one is 10 and done. Lots of different kinds too, for this day I used Basmati. Instead of eating on the couch with plates on our lap like we normally do, the table was set, cloth napkins and all. Got little red envelopes, stamped in gold with ‘good luck, prosperity, long life’ and filled them with coins from our jar. Had to make it a little special, if we are going to properly eat dinner at the table, right? The recipe makes your favorite Orange Chicken fast and at home. So have fun with it, you can buy little takeout boxes and pack up all your leftovers in there. 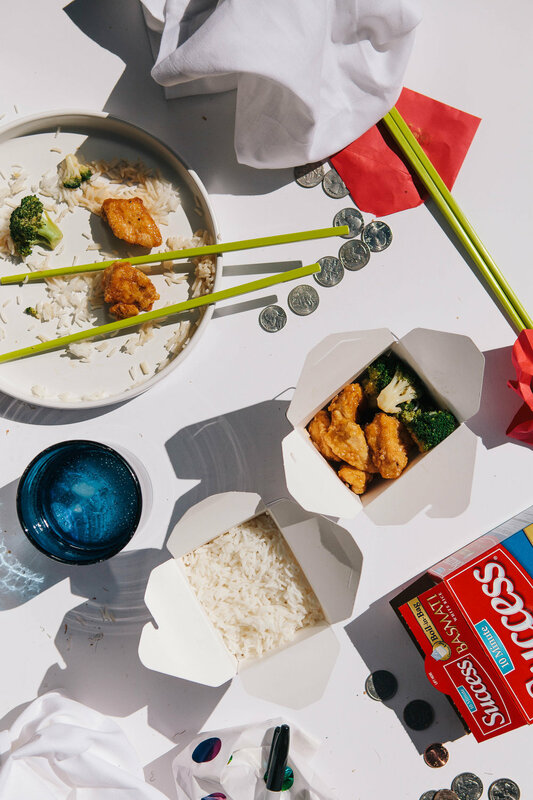 Make the takeout experience at home, like the real thing. What I suggest is to pack it for a later midnight snack in separate containers. Rice in one, chicken and broccoli in the other. The flavor of the orange chicken won’t completely absorb into the rice. Makes for better reheating, or just eating cold, straight out of the fridge. This post is brought to you in partnership with Martha Stewart Living and Success® Rice. All opinions and ideas are my own.